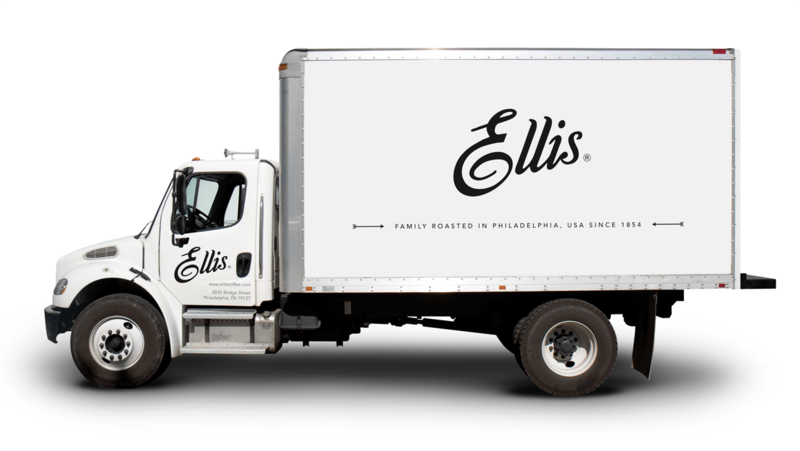 Ellis coffees have been family roasted since our beginning in 1854 as a shop on Philadelphia’s waterfront. For generations, our coffees have been served in fine hotels and restaurants. We serve markets from Florida to Maine and west to the Rockies. We deliver products and support through our extensive route distribution network and through direct ship to warehouses. A strong, professional team is critical to our customer's experience. Marcie started at Ellis Coffee Company in 1977 right after graduating college. After her grandfather bought the company from John Ellis he looked to Marcie after graduation for assistance as the company was quickly growing. She started in an administrative position, helping in all aspects of the company. Before retiring Marcie held the position of Vice President of Human Resources and 3rd generation co-owner. Throughout her time with the company it has gone through many changes and has increased production significantly while always striving to keep its local and family business focus. Now with the company under 4th generation ownership Marcie sees the company continuing to innovate “while providing quality jobs”. Marcie enjoyed her time with Ellis Coffee saying “I loved the people” She is so proud of what the company has become because it has great products and great services across the board. Seeing Adam rise has been an amazing experience for Marcie and she looks forward to the next generation keeping the family traditions alive.